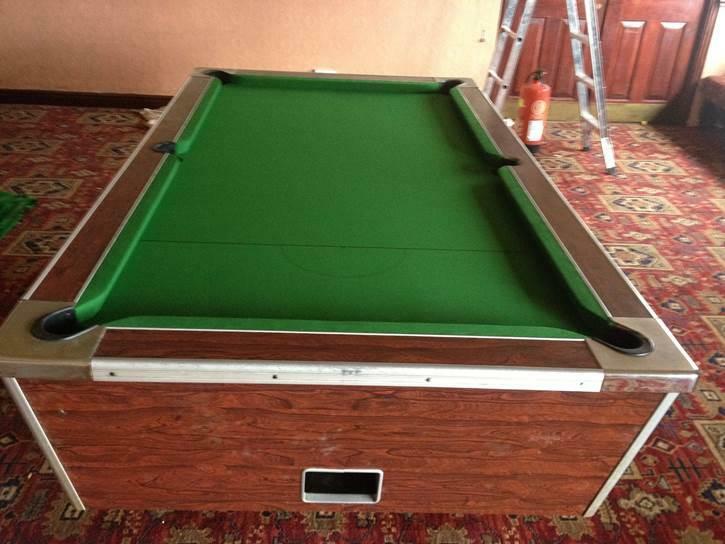 This was a Pool Table Recover for a pub that was to re-open for the summer season. 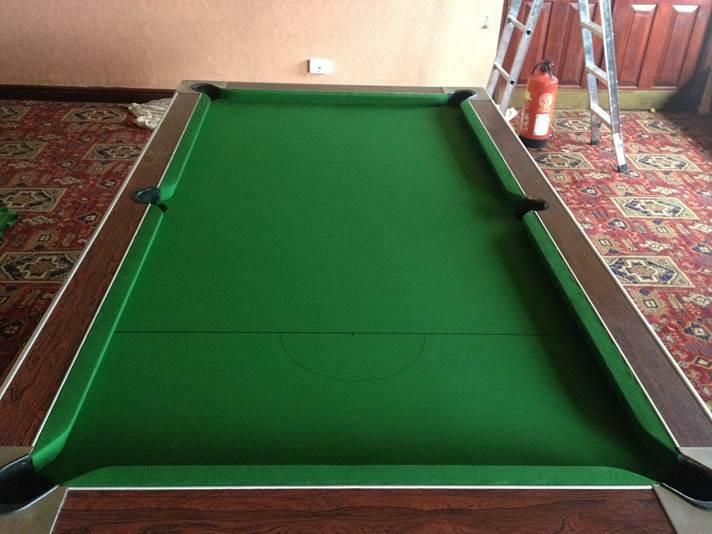 We recovered the table with a Hainsworth Club Green cloth. 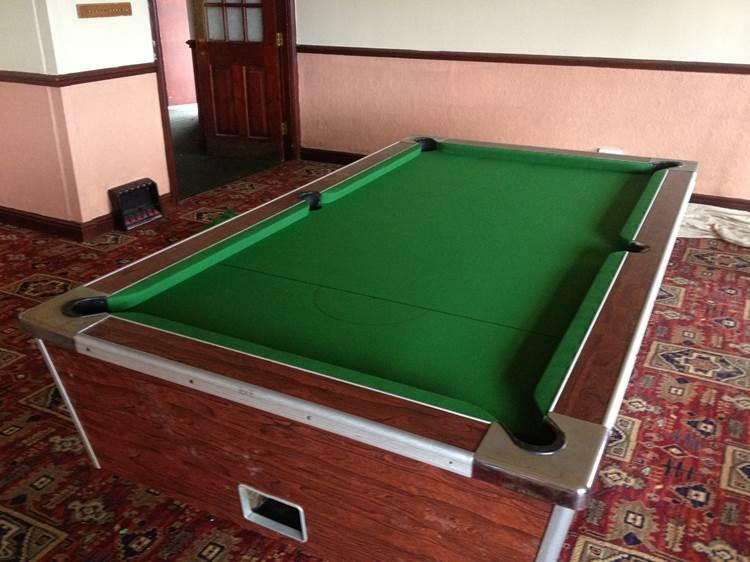 They were over the moon with their new cloth, as the old cloth was completely faded and stained.